Get wet n' wild with one of the best Sailing School's in Ireland, Fingal Sailing School. Learn the skills from ISA qualified instructors and get addicted to life out on the water. Choose from great water activities such as windsurfing classes, stand up paddle surfing (SUP), sailing & kayaking lessons. Expert tuition and safety briefing is provided with each experience. Minimum age varies based on the experience. Fingal Sailing school is based in Malahide, Co. Dublin. Fingal Sailing School operates from May - October. Advance booking on AllGifts.ie is required. Opening hours and availability vary per activity and course. Please inquire for more details. Sat - Sun 10:00 - 18:00. We're conveniently located within a 5 min walk of Malahide train station. The Dart is a short 20 min journey from Dublin city centre. Malahide is also serviced by Dublin Bus #42, 32 & 102. Alternatively it's a 10 min drive to the M1 & M50 for all national routes. 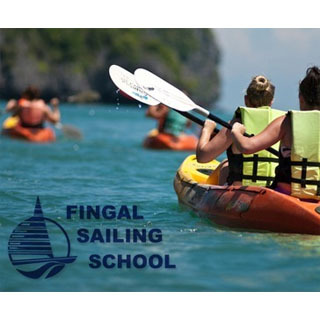 Fingal Sailing School is Dublin's leading school & activity centre. 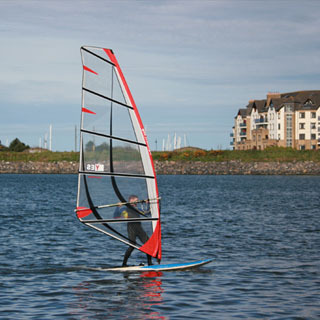 Specialists in Windsurfing, SUP, Sailing & Kayaking. We provide a fun, exciting & healthy way of learning & improving our water based activities. 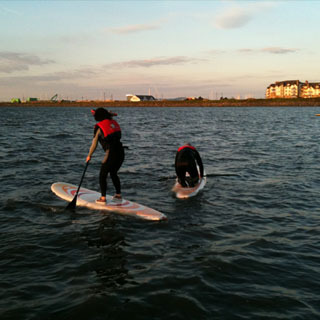 We're located on the back estuary in Malahide, which is an ideal location for any water activities: the water is sheltered & in a safe enclosed environment. Our instructors are all ISA qualified & experts in their chosen activities. They will be with you throughout your sessions offering you tips & encouragement. We are open to the general public - there are no joining or membership fees. All you need to do is book your chosen activity & course & we'll see you on the water!! How it Works: Use this gift voucher on AllGifts.ie to make a booking with Fingal Sailing School. Or you can swap this voucher for any other gift or voucher listed on AllGifts.ie. Simply follow the instructions at the bottom of your voucher.